I tried to download but nothing is happening! If you clicked on free download and there is nothing downloading, please try different browser. Chrome or Firefox. 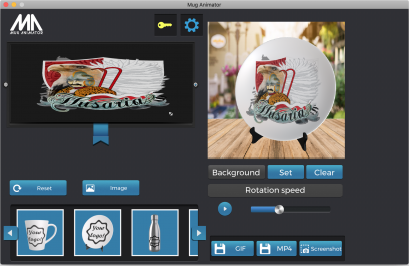 Mug Animator is stand alone software and there is no need to instal it. Just unpack it and you are good to go. if your Mug Animator wont work, make sure you uncompressed ALL files exactly as per this video. when you start Mug Animator first time you will notice set up window. Choice one of the highest resolutions and hit play. Mug Animator will start. My items are not white but grey! If you experience this, dont worry. it is very easy to fix it. 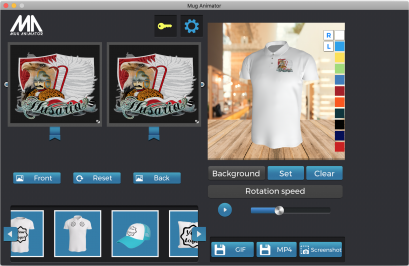 Go back to your set up window (at startap) and make sure there is "beautiful" option applied from the drop down menu. Mug Animator is asking to update. 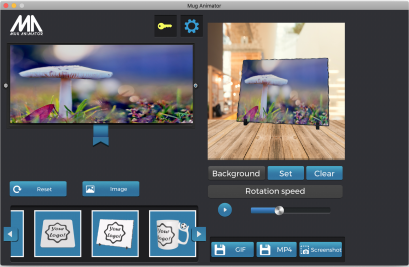 Mug Animator is updated regularly with new items and cool features so from time to time you will be notified about update by startup window. Click on UPDATE button and new, updated file will download. uncompress and use it. No need to re register! If you dont fancy updating, thats alright. just click "continiue" to use your app as it is. Dont worry, you will be able to update next time when you start your app up. 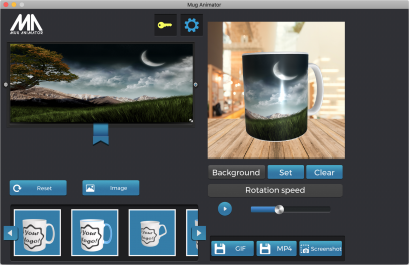 Mug Animator registration key is licensed for one PC only. And it CANNOT be re used on any other PC. Please make sure you installing your software on computer that you not going to change any soon. registration key work ONLY on PC that was registered in first place, so Please do not share your hard drive or swap it as your key become invalid. I want to move my licence. You trying to use your key on new PC or you typed in your key incorectly. please use copy and paste ctrl+v to make sure all letters and digits are inputed correctly. I have more than one PC. Is there a good deal for multiple keys? I would like to become affiliate! Fantastic! if you would like to start selling MA contact us for BEST deal for multiple key package. it starts from 25 keys.